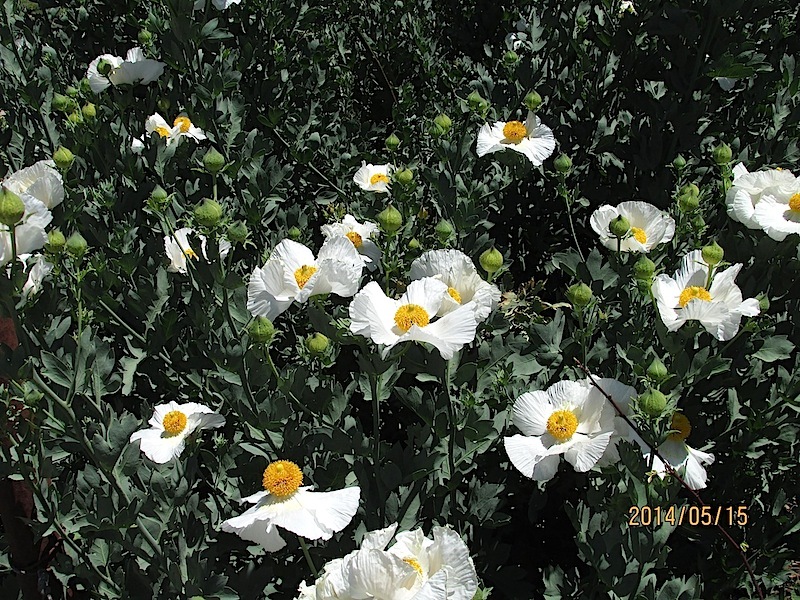 Matilija poppies, or Romneya coulteri for my purest friends, has the largest flower of any poppy. It’s native to dry, sunny areas from California to Baja. The flower petals are bright with yellow-orange stemains in the center that look just like a golf ball. The flowers also measure 6+ inches across and usually begin in late March and can continue until August, given a bit of water. 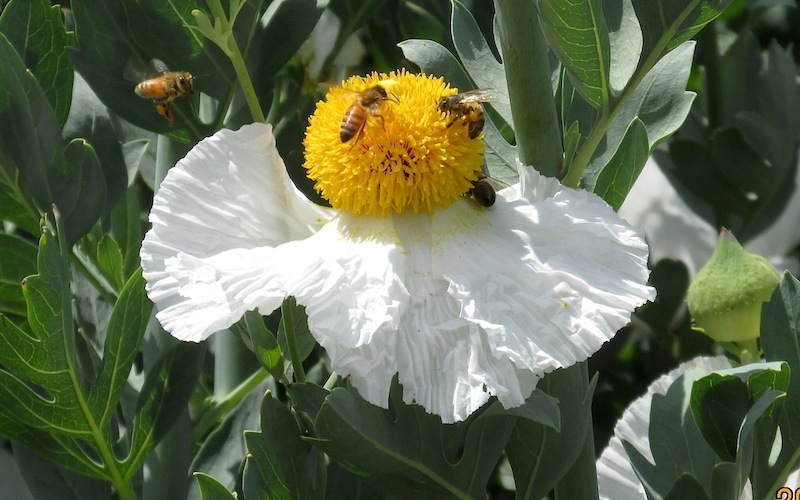 They are also excellent plants to bring bees to your garden and are good cut flowers in an arrangement. So, how do you get them started, and how do you take care of them? They have a bad reputation of being both difficult to start and invasive. The latter can actually be true. 1. Figure out where you want to plant them, they need a sunny spot, and dig the hole. The hole should be dug to a depth such the the plant will sit at or slightly above the soil line. 2. Fill the hole up with water and water the poppy in it’s nursery container. By filling the hole up with water and letting it drain out you’re making the planting area damp, a good thing for new plants. By watering the poppy in it’s container you’re reducing the risk of transplant shock and making the poppy easier to take out of it’s container. When the water has drained out of the pot you want to flip the pot upside down/support the plant, push on the bottom of the container, and slid the pot off without breaking the rootball. Then plant and water heavily. 3. Plant them in fall or winter- you’ll have much better luck getting them established. If you can follow point number “2.” above correctly summer planting shouldn’t be a problem. 4. 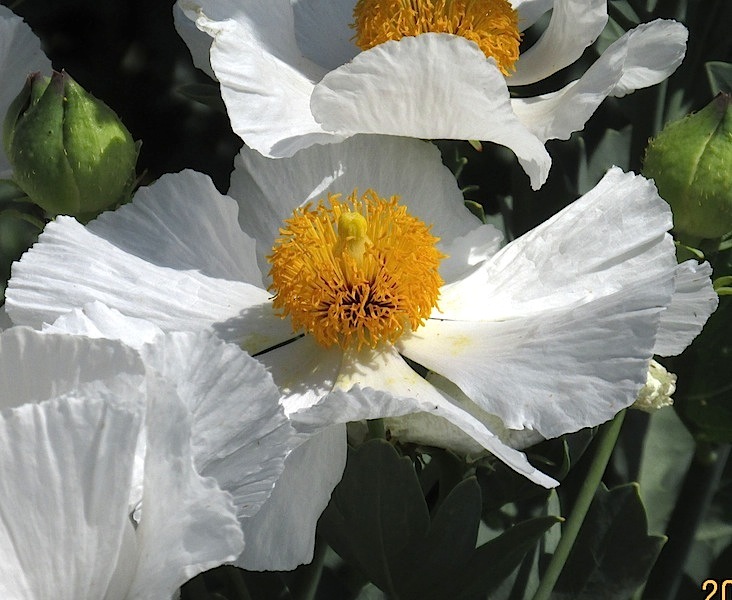 Watering- you want to wanter you newly planted matilija poppy 1x per week or maybe even 2x if the soil is sandy and/or during the summer months. Not more than that or it will rot out. Keep up the weekly watering for through the first summer into winter. Then drop the watering down to 1x per month. That will keep things looking better and flowering longer. If you can only remember the first two points, you’re 90% on your way! The rest of the “care” is pretty easy, there isn’t much. Some people cut them back in fall or winter and that makes them look a lot neater. As soon as they are cut back, new clean growth starts quickly. You can do that if you want but if you don’t they’ll do just fine. Remember they don’t get cut back in nature- up to you. 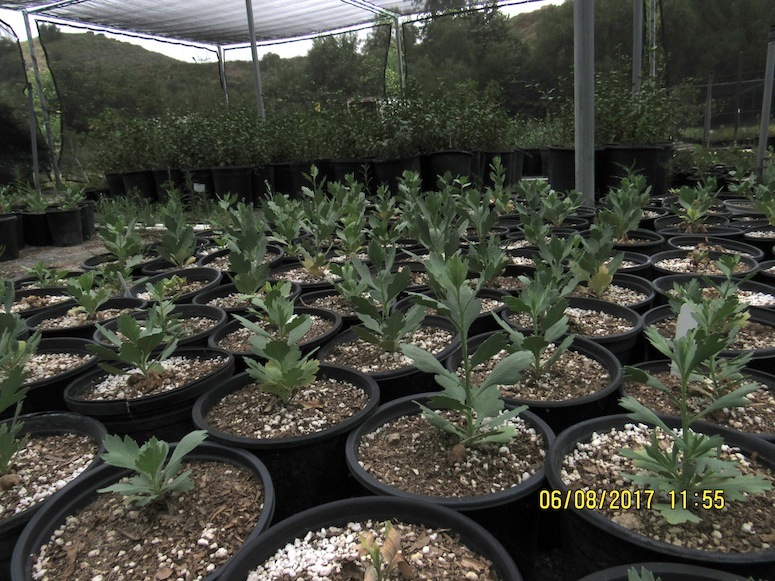 They indeed can be aggressive, so give them room, especially when planting them in sandy soil.